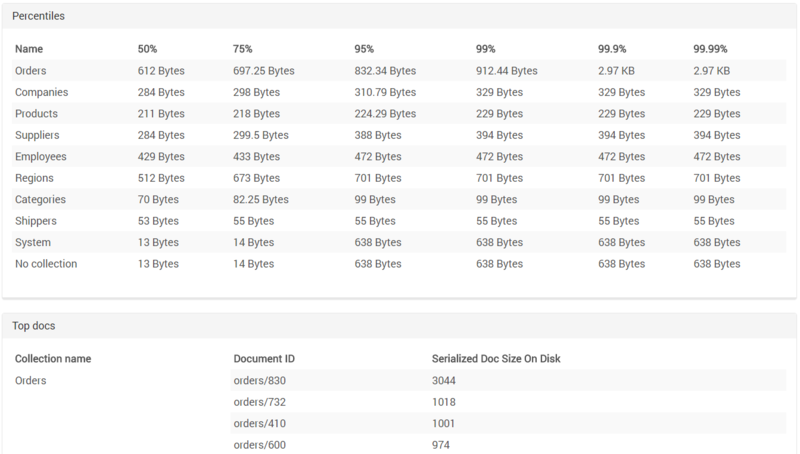 On disk - shows general information about space used and paths to logs, data and indexes. 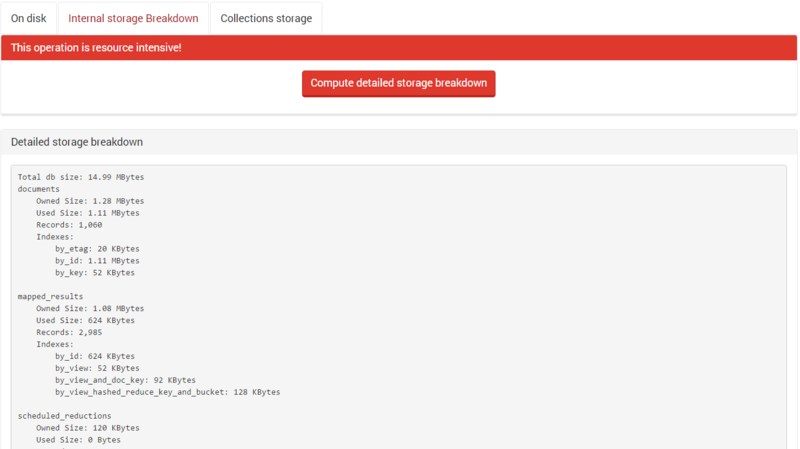 Internal storage breakdown - shows detailed information about space used. 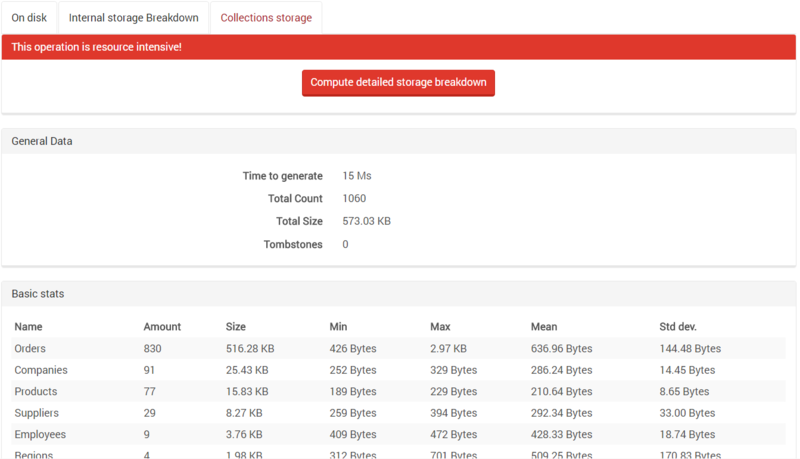 Collections storage - shows statistics for each collection. Because these operations are expensive, we show the progress and added a cancellation button.